Everyone has different tastes and views when it comes to fashion. Fashion stance is all about individual fashion, "Vogue individualisme". I'll be bringing everyday fashion from different people showing their different styles, personalities and fashion views. Occupation: Student at Kharkiv National Medical University. In one word/sentence, what does fashion mean to you? An opportunity to express oneself without the fear of what people might think. A mixture of different styles, a little bit of everything. Reading, going through fashion magazines, listening to music, fashion blogs (especially Kamdora). Pierre Cardin, Ralph Lauren and Zara. In Nigeria, Debra's Grace. In Ukraine, Crop town, Calliope, and Terranova. Right now, Brogues and ripped jeans. My orange turtle neck knee-length dress with different letters printed on it. I got it from Debra's grace. I get compliments whenever I wear that dress...It's so beautiful. A person's sense of fashion reveals personality. Fashion is all about self expression. Also, shoes are the most essential accessory u deal with in fashion. They improve one's appearance- a simple dress would look classy with a pair of heels on. Learn to love to look good. 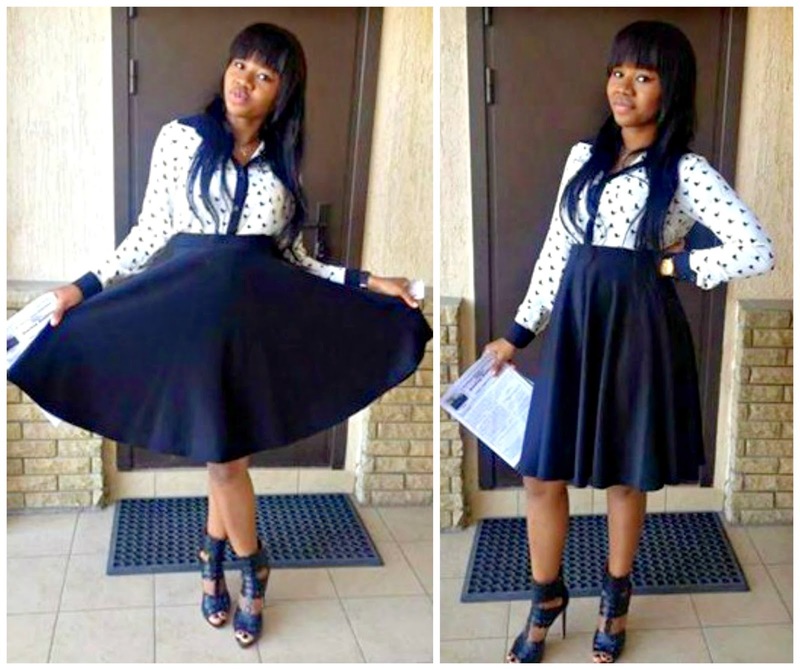 What do you think of Chioma's individual fashion? Let me know in the comments.